Mentioned in magazines like Vogue, Cosmopolitan, Mademoiselle, Essence and Marie Claire, Janet Sartin is recognized as a leader in skin care among women everywhere. Her facial beauty products not only improve your natural beauty, but help to repair and rejuvenate your skin with quality and beneficial ingredients. Many clients turn to Janet Sartin for advice on the best techniques and products to enhance their features with her trusted cosmetics, lip care products, blemish control and anti-aging creams. The complete line of acne care products will improve your blemishes, preventing outbreaks and clearing your skin. Each product is specially developed for each skin type. See additional information on our facial cleanser cream. 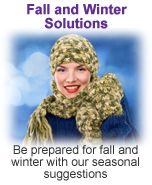 Janet Sartin specializes in treating and covering your acne outbreaks with her effective solutions. Her acne care products are formulated to treat and repair your pimples and blackheads, not just conceal them. Designed for a variety of skin types, you can select the right oil control products for your face. There are a variety of astringents for normal to oily skin allowing impurities to be removed and promoting overnight healing. For in-depth treatment, a two-system mask will refine your pores and reduce your face oil. Cover annoying blemishes with the very effective Blemishfix. Once you have eliminated your acne, it is never too late too look for anti-aging solutions. Many of the skin tightening and wrinkle removing creams have had dramatic results on clients giving them a younger appearance and tighter skin. The exclusive Eye Care Serum for Sensitive Eyes, an eye firming cream, used by Paris models reduces the puffiness and tightens the skin around your eyes. Each solution will tighten and revitalize your skin while removing the deep lines of wrinkles. Be sure to check out our dry skin products. Located in New York City, Janet Sartin has been named the place to go for the best facial in the city. The midtown salon offers a huge selection of facial beauty products and skin care treatments for their distinctive and demanding clientele like Nancy Reagan.. The exclusive facial treatments are designed for each client's specific needs, without the use of oily moisturizers and harsh scrubs. A comprehensive list of highly effective anti-aging solutions, acne care products, firming solutions, foundation finishes and color care are suggested to maintain each client's beauty regimen for optimal results. 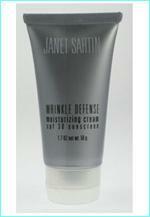 With over 50 years experience in skin care, you can trust the quality products created by Janet Sartin. Please see our next article on tips to prevent acne.